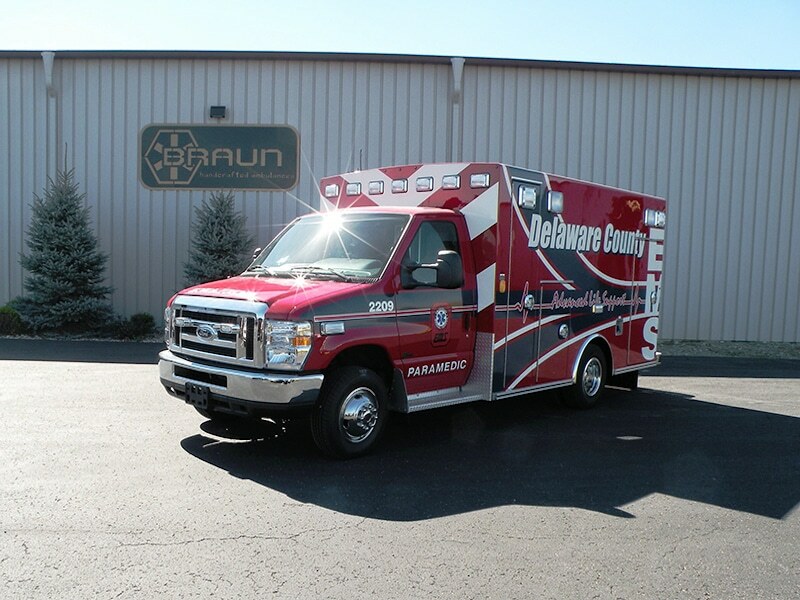 Braun ambulances are widely known for their handcrafted customization, exceptional quality and longevity. And they’ve earned that reputation one ambulance and one customer at a time since 1972. Braun engineers and manufactures ambulances that are “BUILT FOR LIFE” with lifetime warranties and innovations that stand the test of time. Braun’s seven models of Type I and Type III ambulances span the spectrum to meet your unique needs. There’s simply no substitute, and RedSky is proud to bring these industry-leading ambulances to you. The Braun Express ambulance is known as the “best little bus in the business” for good reason. It includes thoughtful design features to enhance crew safety and comfort. 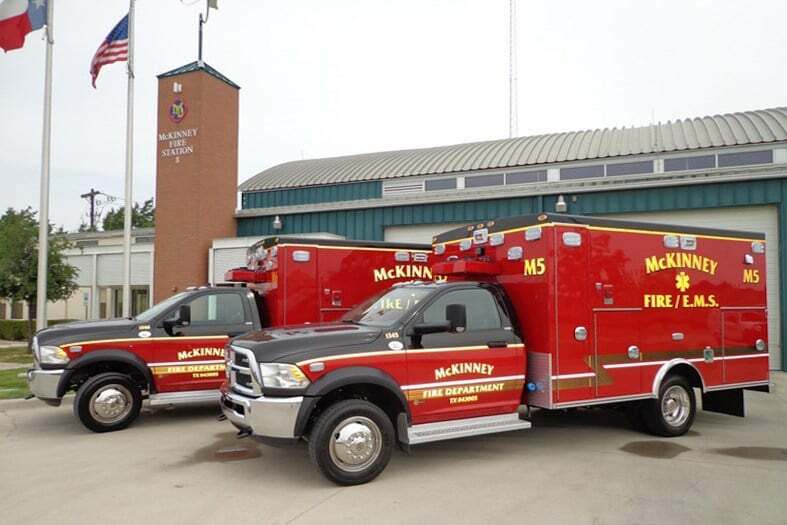 A wide aisle, excellent working room for paramedics and EMTs, generous interior cabinets and external backboard storage are all part of the package. All aluminum cabinets mean years of durability. This module is 144″ long and packed with the exclusive innovations that you’d expect from Braun: SolidBody™ Construction, EZ Glide™ Door, MasterTech IV™ multiplex electrical system, and VitalMax™ Interior Lighting System. The Express Plus takes all the thoughtful design features of the popular Express to a Type I platform. This model is fully customizable to fit your specific “must haves” and “like to haves.” Both private and municipal customers consider this a mainstay of their fleets. Standard features on the Express Plus include Braun’s all aluminum welded interior cabinets with rounded corners, high performance heat/ac system, extensive interior and exterior storage, and spray foam insulation. The module is 150″ long and packed with the exclusive innovations that you’d expect from Braun: SolidBody™ Construction, EZ Glide™ Door, MasterTech IV™ multiplex electrical system, and VitalMax™ Interior Lighting System. 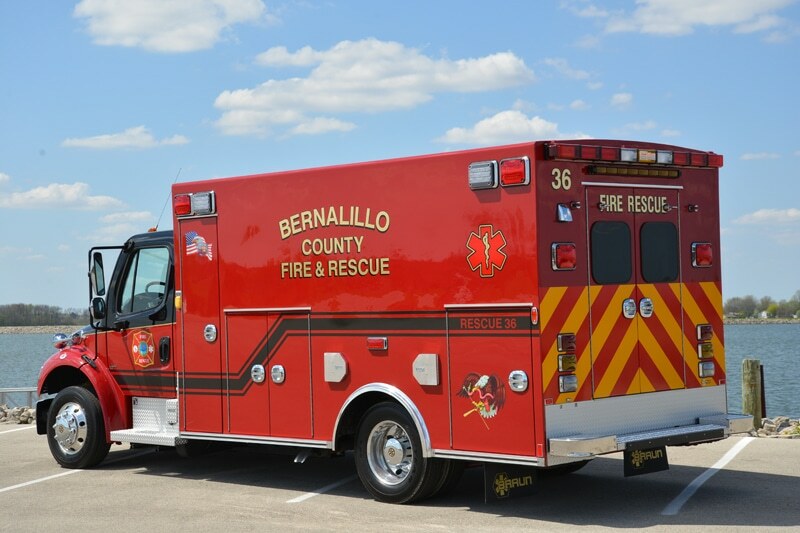 Affordable quality is the perfect way to characterize Braun’s Signature Series Type I and Type III ambulances. 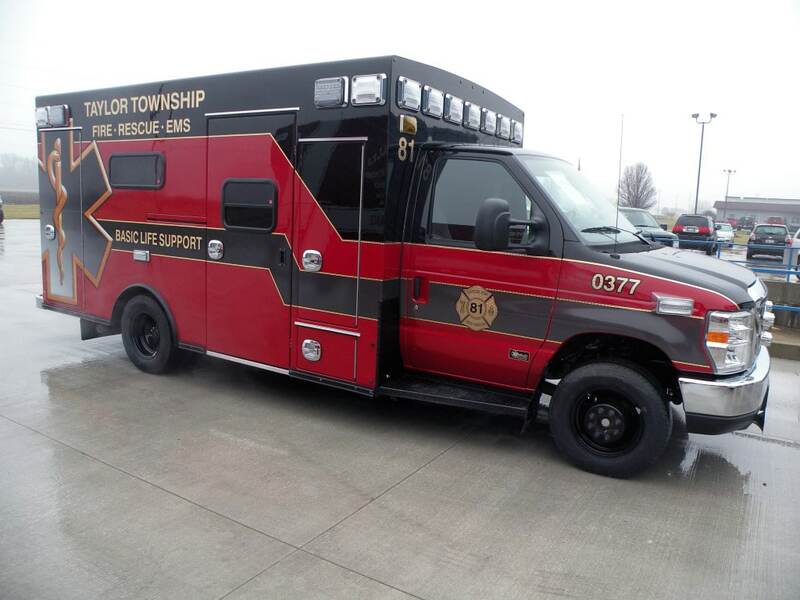 This 150″ module is designed to meet the high demands of the EMS community and is the recipient of an EMS World Innovation Award and named an EMS Today Hot Product. This model offers superior outside storage space. Combining pre-engineering and popular options allows this model to meet even the tightest budgets. The Signature Series is a 150″ model available on the GM and Ford pick-up and cutaway van models. Braun’s Liberty model is the perfect starting point to customize a hand-crafted Type I that’s “Built for Life” and for your needs. Our extensive options package lets you meet your demands and your budget. 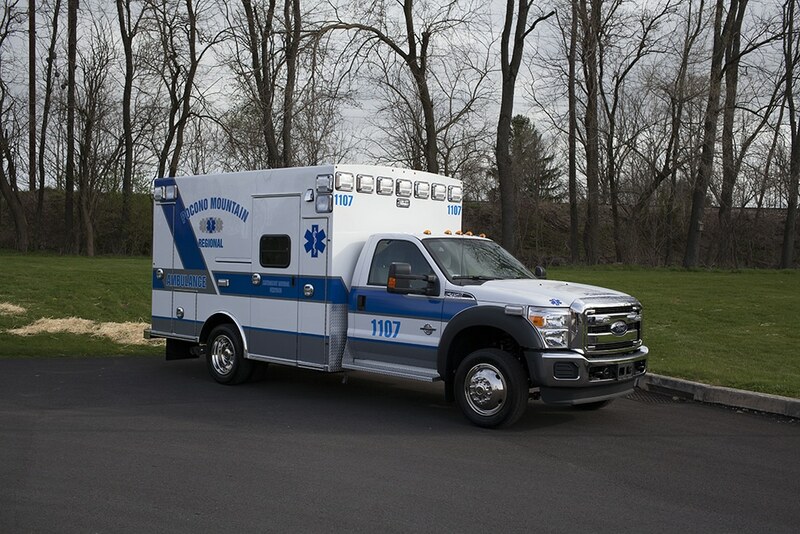 As with all of our ambulance models, the Braun Liberty features our SolidBody™ Construction. Built as one integrated module, the floor, roof, sides and doors are constructed from brake formed parts with fully welded seams. This reduces the weight of the ambulance module and adds strength. This translates to enhanced protection for passengers in the event of an accident. This 156″ module provides 72″ of headroom and is available on Ford and Ram chassis. When you need the perfect combination of interior space, storage, comfort and performance, the Chief XL Type I is THE model to consider. This is Braun’s best-selling model for many reasons. 72″ headroom and lots of room makes it easy to move around for patient treatment. Superior storage space allows you to carry more emergency equipment, inside and out. For EMS providers that demand a large open work area and lots of storage space, the Braun Chief XL is the ideal ambulance. And it’s loaded with the features and innovations that set Braun apart: SolidBody™ Construction, EZ Glide™ Door, MasterTech IV™ Multiplex System, and VitalMax™ Lighting. If a medium-duty ambulance is what it takes to get the job done at your department or rescue squad, the Braun Super Chief is your premier choice. Larger, highly durable and customized for your exact operations, this model delivers what you need and more. 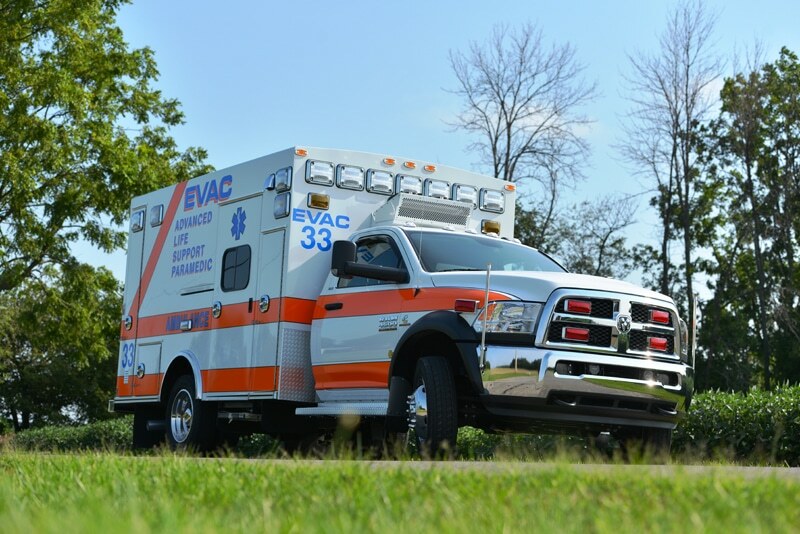 With 73″ headroom, the Super Chief ambulance is the ideal module to complement your medium-duty chassis of choice: International 4300, Freightliner M2, and Ford F-650. And it’s loaded with the exclusive performance features only Braun delivers.